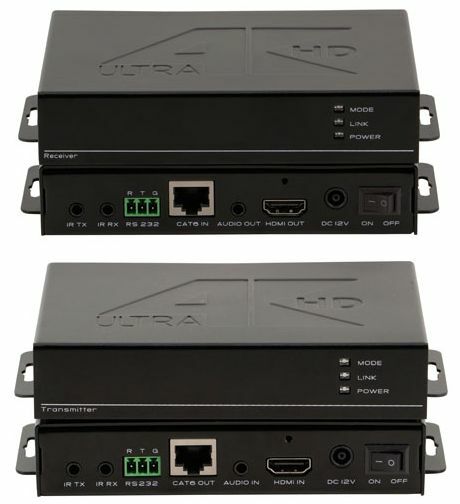 HDTV Supplys WolfPack 4K HDMI Balun HDBaseT can extend your 4K HDMI video and audio signal upwards of 215 feet to an HDMI equipped widescreen or projector over a CAT6/6a/7 cable. Our WolfPack HDMI Balun HDBaseT is designed to convert an HDMI signal to standard HDBaseT signal which then can be transmitted by a single Ethernet cable. Our HDMI Balun HDBaseT with POE also supports a Bidirectional Infrared control signal allowing you to control the source which is can be up to 330 feet away at 1080p and 215 feet away with 4K/30 with CAT6/6a/7 cable. NOTE: HDTV Supplys implementation of the HDBaseT technology and this product adds virtually no latency to the signal, less than 10 microseconds over 330 feet of CATx cable. At 100 feet you are taking about 3 microseconds. This means, for example, in a church or auditorium, the speakers lips are in synch with the image on all the screens. The HDMI Balun HDBaseT Over CAT5e/6 with POE Extender supports R/L stereo Audio embedding and de-embedding as it can help users to have more choices whether to use the internal or external audio. The extenders come with both the HDMI Transmitter (TX) and the HDMI Receiver (RX) and 1- screw on AC adapter. OFF/ON switch on both the TX and RX. In addition, the WolfPack HDMI Balun HDBaseT supports PoE (Power over Ethernet) eliminating excess or unwanted power drain and also provides power to the receiver at the remote location, giving the ultimate freedom to the display or projector from being tethered to the AC outlet. The AC adapter can go at either end. Also since the video and audio is not compressed there is no latency. The POE (Power Over Ethernet) function supports either the TX or RX and can be powered with the included 12V@2A power supply. POE power consumption is less than 10W. Use a single UTP LAN cable (CAT-5e/6) to substitute for a long HDMI cable to achieve long distances HDMI transmissions. The UTP cable termination follows the standard of IEEE-568A or IEEE-568B. Transfers a Bidirectional Infrared control signal together with the HDMI signal. For optimal video performance use our WolfPack HDMI 2.0b and HDCP 2.2 cables with this product. Why not buy this WolfPack HDMI Balun HDBaseT with POE today? 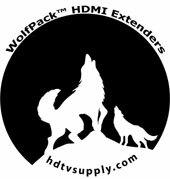 HDTV Supplys WolfPack 4K HDMI Balun HDBaseT extends your HDMI signal of uncompressed video & audio to a compatible HDMI display (point-to-point) through a single LAN cable. Bidirectional IR signal is also carried with HDMI which means you can remotely control devices at either end of the connection. For example, control the source 1080p Blu-ray player from the remote TV location at a distance of up to 220ft far away. One pair as a full functional module as there is no need for any settings. POE (Power Over Ethernet) function support, either TX or RX powered 12V@2.5A,another device will no need power form the DC jack. POE Power Consumption less than 10W. Use single UTP LAN cable (CAT-5E/6) to substitute HDMI cable to achieve long distance transmission. UTP cable termination follows the standard of IEEE-568B. 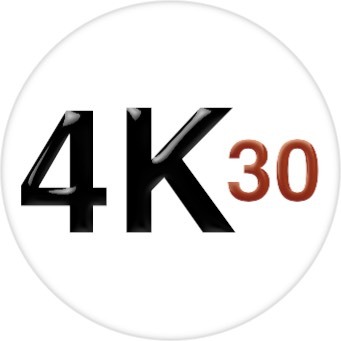 Transmission distance: 100 meters: 1080P @60Hz36bit; 3D1080P@30Hz36bit; 70 meters: 1080P @60Hz@48bit; 1080P @120Hz@24bit; 3D1080P@60Hz@36bit; 4K x 2K@30Hz@24bit. Transfers Bidirectional Infrared control signal together with the HDMI signal. 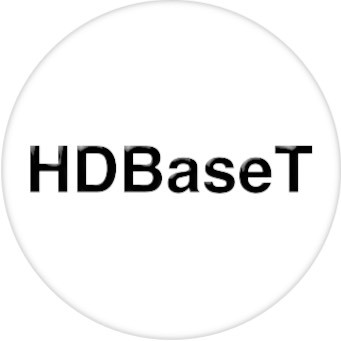 HDBaseT Supports Full HD Uncompressed Video: HDBaseT delivers uncompressed HD video to a network of devices or as a point-to-point connection. Uncompressed content supports all video sources, including legacy products, accurately renders gaming graphics and features such as Electronic program guides, and does not degrade video quality or add latency. HDBaseT supports TV and PC video formats including standard, enhanced, high-definition and 3D video. Why not buy this HDMI Balun HDBaseT today? HDTV Supply has this WolfPack HDMI Balun HDBaseT in stock in our California warehouse so place your order at the above ADD TO CART button by 11AM PST and it can ship today or call us at 800-841-9238 to place your order. Why not buy this WolfPack HDMI Balun HDBaseT today? Why not buy this WolfPack HDMI HDBaseT Extender with POE today?